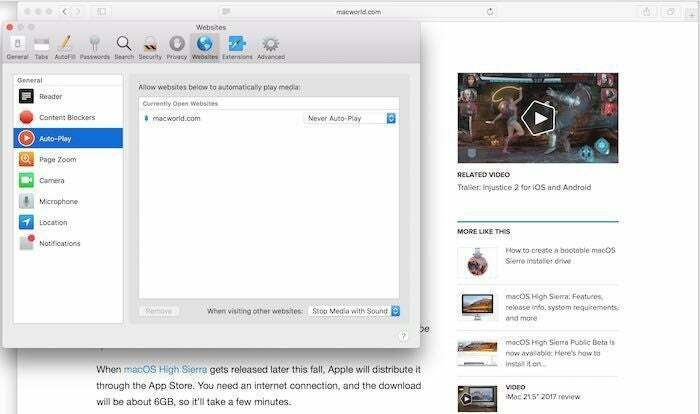 In macOS High Sierra (and Sierra, too), you can easily disable autoplay video and surf the web in relative peace. Here's how it's done. Autoplay video: The bane of the web. You either hate them, or are completely disgusted by them. 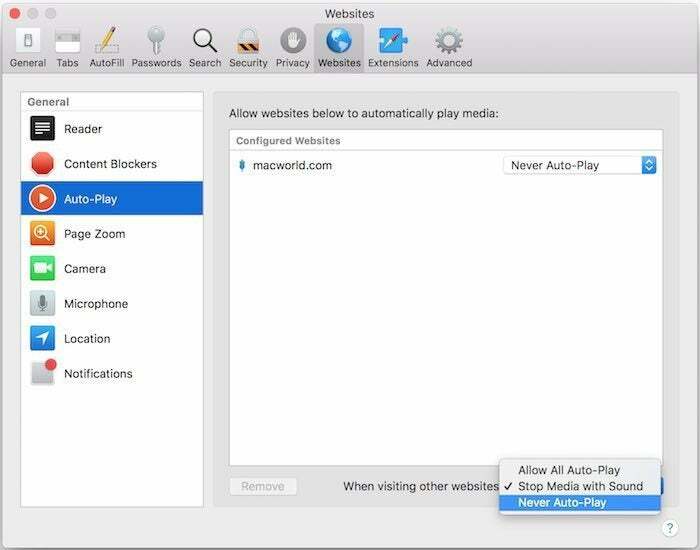 Fortunately, with Safari 11 in macOS High Sierra (Safari 11 is also available for macOS Sierra), you can easily disable autoplay video and surf the web in relative peace. 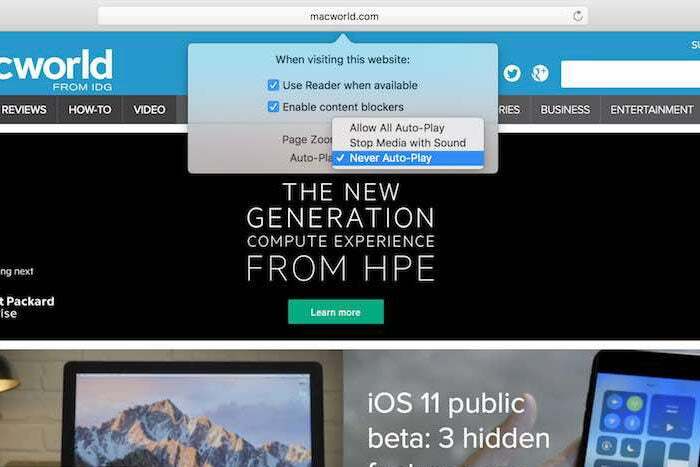 Here’s how to stop autoplay videos in Safari 11. 1. When you’re on a website with autoplay videos, you can change how those video behave. Click on Safari > Settings for This Website or right-click the URL box and select Settings for This Website. 3. Now click anywhere on the screen to make the pop-up disappear. Videos will show a Play button. To play a video, click on it. 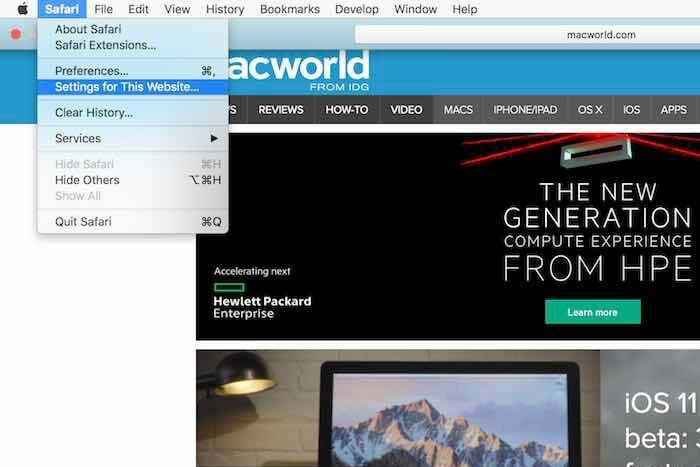 You can always go back to this Safari preference if you want to change a setting for a website. 1. 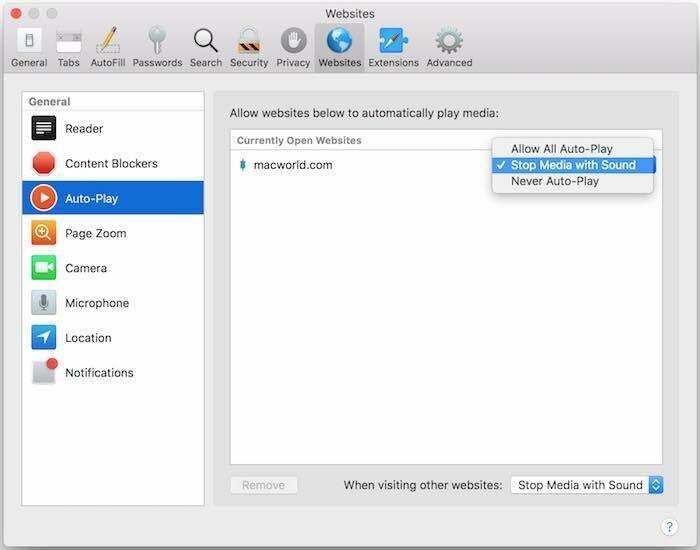 In Safari, go to the website you where you want to disable autoplay videos. For example, I’ll use macworld.com. 2. 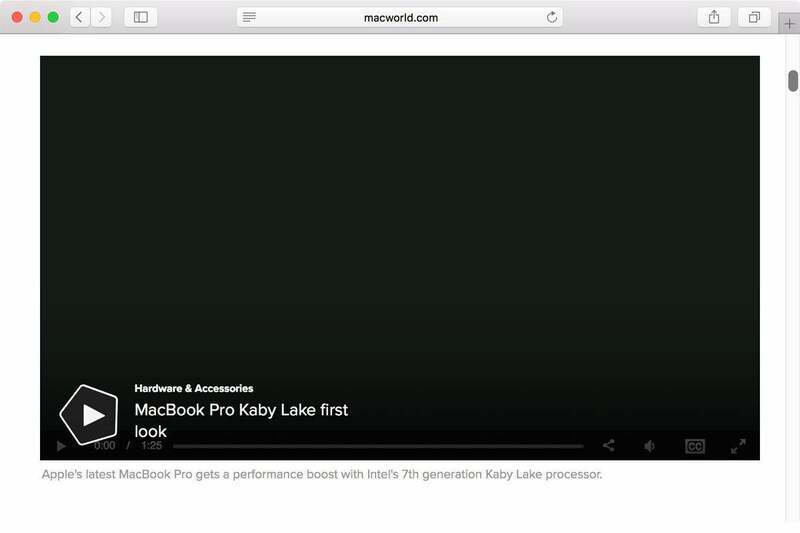 Click on Safari > Preferences. 3. Click on the Websites icon at the top of the main window. 4. Click on Auto-Play in the left column. 5. To the right is a section called “Allow websites below to automatically play media.” (That title is misleading, as you’ll see.) You should see the website you are at listed in the window. Make your selection. Once you do, the website will be added to a section called Configured Websites. If you want to adjust the settings for another website, you will see that section, along with a section called Currently Open Websites. 7. At the bottom of the window is a setting called “When visiting other websites.” This will tell Safari what to do when you visit a website not on your list of configured websites. You have the same three options as shown above. 9. When you are done, close the window. If you decide to Never Auto-Play, videos on a website will be shown with a Play icon, indicating that you need to click the video to play it.